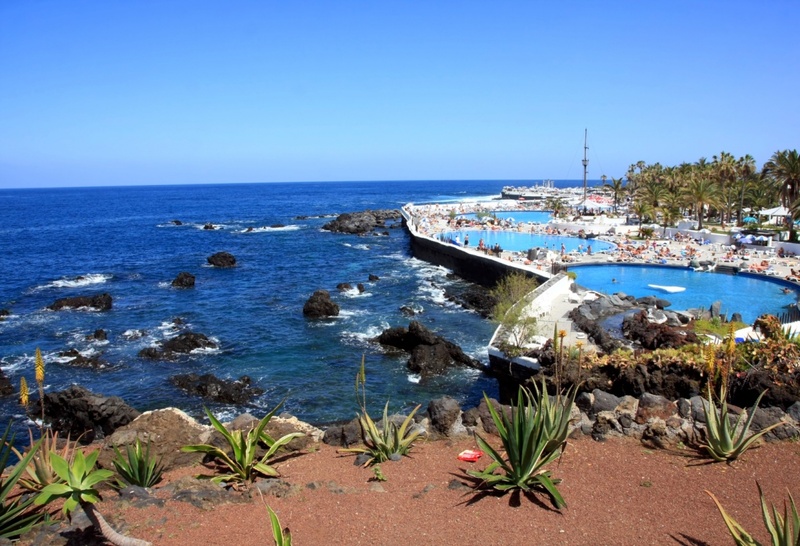 One of the most popular resorts in the north of Tenerife, Puerto de La Cruz is a wonderful location for families and couples looking to enjoy a holiday in the sun, away from the hustle and bustle of the major tourist resorts in the south. 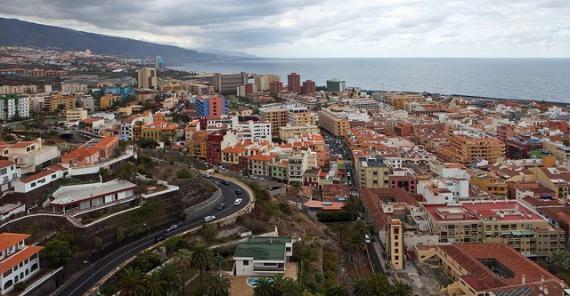 Despite its popularity, Puerto de La Cruz is much quieter than other resorts, such as Playa de Las Americas and Los Cristianos, which makes it a top pick for older couples and families who just want some peace and quiet during their holiday. Puerto de La Cruz has been around for a lot longer than many other tourist resorts and therefore its structures and features can appear quite old. However, many find this only adds to the charm of the place and attracts regular visitors again and again who love the traditional Canarian culture, atmosphere and lifestyle which the resort symbolises. At almost 9km2, the resort itself is fairly large and is spread over a hill which slopes down gradually to the coast, providing ample room to wander about and explore. Hotels are found all over the resort, with the main concentration of them being along the seafront, close to all the services and amenities you could ever need during your holiday. Most of the bars, cafes, ice cream parlours and restaurants are situated along the seafront and in the town centre. There are all sorts of international eateries available in Puerto de La Cruz, so you’ll have plenty of choice when it comes to eating out. Shops are scattered evenly throughout the resort, with a variety of stores selling everything from electronics, perfume and jewellery to souvenirs, clothes and tablecloths. Puerto de La Cruz is most famously known as being the home of Loro Parque – an incredible animal zoo which boasts the largest and most important collection of parrots in the world, the biggest dolphinarium in Europe and a fantastic breeding programme which helps to save animals in danger of extinction. The resort is also where you’ll find a number of beautiful botanical gardens, several volcanic sand beaches and Lago Martiánez – a huge lido with a fountain and several salt-water swimming pools. If you’re looking for a resort with plenty to see and do whilst also offering a laid-back Canarian atmosphere, Puerto de La Cruz is the ideal place for you. Find information about selected Hotels, apartments and rooms in Puerto de la Cruz to choose the perfect place for your accommodation.